As a LEGO Creator themed contest, the goal is for entrants to create a 15 to 45 second stop-motion animation showing the building and rebuilding of a LEGO Creator 3-in-1 set. Films cannot feature other LEGO parts that are not included in the specific LEGO Creator 3-in-1 set used by an entrant, nor can the video feature anything besides the LEGO set (such as hands or clay). The video’s background must also be clean and uncluttered, according to the ReBrick rules. 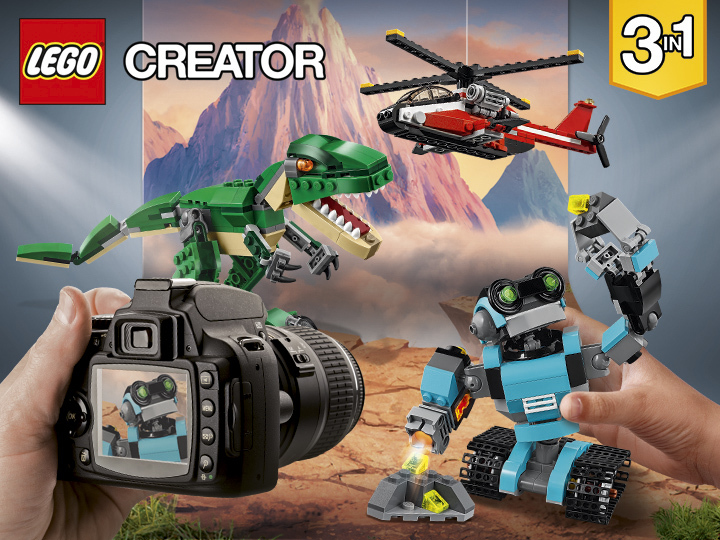 I assume this is to ensure that the completed videos correspond with the LEGO Creator branding and are similar to the building videos already featured on the LEGO Creator website. The contest is now open and runs until March 22, 2017 at 10:00 am EST. As with every ReBrick contest, it is only available for entrants ages 13 and older. I look forward to seeing many of your awesome entries there! Do you think this contest looks fun? Are you planning on entering? What do you think about the rules? Tell us down in the comments below! Also be sure to check out The Set Bump on Facebook and Twitter! One Response to "LEGO ReBrick “Build and Rebuild” Stop-motion Contest"